In the glamorous casino realm, Slots are well-known favorite among brick and mortar casino enthusiasts across the globe. And it’s definitely no different online. With their frill-free rules, players really needn’t worry about having to spend too much time learning the ropes. And although online Slots are based on luck, there are a few things that can be done strategy-wise. Below we’ve compiled a few Slots strategy tips you can implement while playing the game. Go on and have a read, then head to a real money casino to try your luck! Over the course of time, many avid Slots players have often dwelled on how to win at Slots. In fact, Slots strategy as a notion has been around since the game was invented by Charles Fey in the late 19th century. Nowadays, a gambler’s curiosity is very much the same. After all, you’d think Slots are just machines, right? And every machine can be tricked. So really and truly, there must be a way to manipulate the machines so that they pay out without playing endless losing sessions. At least that’s what you’d think if you’re a believer in the Gambler’s Fallacy. Indeed, thousands have tried and, as time has passed, the methods have become more complex much like the slot machines themselves. But, the basic task remains the same: How do I trick Slots into paying out the jackpot without spinning a winning combination? Well, frankly the truth is you can’t really ‘trick’ Slots machines Nowadays, both modern multi-reeled games of luck, as well as online games, have an inbuilt random number generator (RNG) to ensure that any outcomes produced are totally random. Hence, it’s impossible to predict outcomes and it’s not simply a matter of waiting bets a number of spins until Lady Luck finally decides to place her hand on your shoulder and swing the odds in your favor. The bottom line we’re trying to stress here is don’t go in thinking about manipulating a Slots game to your benefit. It won’t work. What will work in regards to lots strategy is thinking ahead and evaluating games based on a number of different factors, such as RTP and variance. In addition, you should also do your best to cash in on perks such as bonuses freebies. Below we give you a few Slots strategy tips to help you maximize the chances of you winning the game. Take a Slots Game's RTP into consideration. Find a game that suits your bankroll well. Take advantage of Slots online casino bonuses. Don't play more than one Slots game at a time. Play the maximum amount of coins on every spin. Select Slots games with bonus games. The answer to the question “How do you beat slots?” really depends on your definition of “winning.” If you want a slow, steady, consistent return, you should play slot machines that advertise a high payout rate (e.g., 95 to 99 percent). If you’re dreaming of that huge, multi-million-dollar jackpot, though, you’re only going to find it with progressive slots. 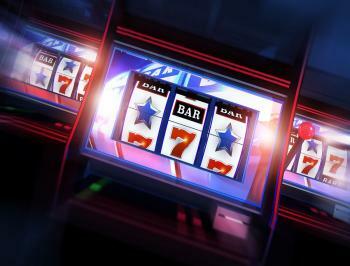 These machines add a fraction of each bet to a huge jackpot that may cover several casinos, states or even countries. While the odds of winning at these machines are extremely low, their life-changing payouts make playing them worth the risk to many slot players. Low variance Slots games carry a low risk, rather than a medium or high one. 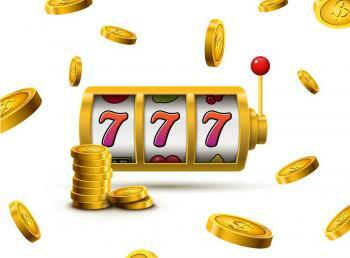 These games of chance usually appeal to players who would like to extend their Slots playing session for as long as possible.You should always look for a game which has low variance rather than high variance. In other words, look for online Slots games to play which are low risk. Medium variance Slots games are ones which carry a medium risk in terms of gameplay. These types of games offer both high and low jackpot amounts and typically attract players with a medium-sized bankroll.Provided that you choose to play these types of online Slots games, you can expect a few bonus games incorporated into the gameplay. You should only play these games if you have a medium-sized bankroll rather than a small one. High variance Slots are those which are high risk to play. So if you’re opting to play one of these Slots games, you’ll need nerves of steel as well as a very large bankroll. Typically, these high variance Slots games have high payouts which are formed thanks to Wild Multiplier symbols. These symbols effectively increase any amounts won. There are also bonus games which feature rounds that enable you to increase your winning amount provided that you manage to win while playing the bonus game. Find a machine that suits your bankroll. If you have $43, don't play the $20 machines. Look for a machine with low minimum and maximum bets instead. There are Slots games which offer betting options for as low as $0.01 if you’re playing with a small bankroll. Another Slots strategy you can use to increase your bankroll is to take advantage of the Slots bonuses available to you. Among the bonuses available to use are Welcome bonuses and Free Spins which are frequently offered by casinos in their online casino promotions section. To learn more about bonuses, head to our online casino bonus page to find out all you need to know about the different types and how they work. Another mistaken belief similar to the one above is that you can increase your chances of winning by playing multiple slots at once. The problem with this idea is that, even though doing so might help you find a hot slot faster, the number of machines you play doesn’t affect your payout odds on each machine. What’s more, players who land on a hot machine and play those around it too will inevitably only double the rate at which they deplete their bankroll. Think about it: If casinos put all their hot machines in one space, why would so many players be scattered around the floor? Simply put, they wouldn’t be. Our 6th tip is only relevant to Progressive Jackpot Slots games. Basically, the idea behind it is to help you win a large jackpot by betting on max. Bet a maximum number of coins by clicking ‘Bet Max’ whenever you can when playing these high variance Slots games. In most cases, holding back a single coin on a progressive slot can cost you a million-dollar payday! In the online casino realm, you’ll be able to find many Slots games with bonus games. These mini-games are typically triggered when certain combinations of symbols are struck. While the majority of the time the freebies offered aren’t hard cold cash, bonus Slots games will typically be offer Free Spins. These types of freebies will grant you the opportunity to play for longer without having to bet any of the money in your bankroll. A few popular Slots games which feature bonus games include Zeus, Cleopatra and Book of Ra. In times long gone by, gamblers could only play Slots with one single-payline. They were basic, but at the time were still fun to play. However, ever since modern Slots were created and playing online Slots became the norm, developers of these games of chance have thrown multiple paylines into the mix. So nowadays it’s even possible to find a vast array of Slots with paylines that range from 20 to even 1,024 paylines. Essentially, the more paylines a Slots game has the more opportunities you’ll have to win and cash out some winnings as a result. Slots should be fun. If you're frustrated and panicky, now’s a good time to walk away and do something else. Get an ice cream, feed the dog, anything. A calm cool head will ultimately prevail and you won’t lose as much money as a result. As you already know, there is no logical strategy to use when playing Slots. Much of your success depends on finding the machine with the greatest payback percentages and, of course, getting lucky. Attempting to pinpoint the odds for slot machines is a difficult and complicated task. With such a variety of machines and games available, the odds can vary considerably. Generally, Slots odds are expressed in the form of a payback percentage, as mentioned above. The closer they are to 100%, the better. The bottom line is when playing Slots online, it's always best to compare payout percentages and choose the best machine. Now that you’ve read up on our how to play Slots as well as our Slots strategy tips, the next step you’ll need to take is to practice playing a Slots game. By doing so, you’ll be able to play the game for free without having to spend any of your hard-earned bankroll. Provided that you’d like to practice, we recommend either using our Free Slots game or signing up at an online casino which offers a vast selection of Slots games you can play for free. Tip: If you opt for the second option, we recommend heading to one of the bigger and more established online gambling brands as most often they will have a large selection of Slots games to try out for free. Is it possible to win at Slots every time guaranteed? No, it’s not. Slots games are ultimately a game of luck. So thinking that you'll be able to win every time is simply wishful thinking. Does strategy for Slots work? As we’ve mentioned before, an effective Slots strategy is more to do with choosing a Slots game with a decent RTP Rate and low variance, spreading out your bankroll effectively and using freebies such as Slots bonuses and Free Spins. Other than that, any other Slots strategy, such as playing on loose Slots machines won’t work. Do all online casinos have free Slots to help you practice your Slots strategy? Sadly, not all online gambling sites have Slots games available to play for free. So we always recommend reading up on casinos in our online casino reviews page and browsing through a few sites to check whether they have free Slots games to play. Should I use a Slots tournament strategy, if I’m playing in a tournament? Yes, if you take part in a Slots tournament, you should cater your Slots strategy to it. At GamblingPlanet, we highly recommend having a read through our Slots Tournament Strategy page. As with any game of pure chance, there is no real effective strategic system for winning at Slots. You will probably, of course, encounter someone who claims to have developed the 'fool-proof' Slots strategy system but please, ignore such advice. The game is random and arbitrary. The machines have no memory, so there is no effective way of outsmarting them. The only things you can do is to think ahead and follow our Slots strategy tips before you actually start playing your game of choice.